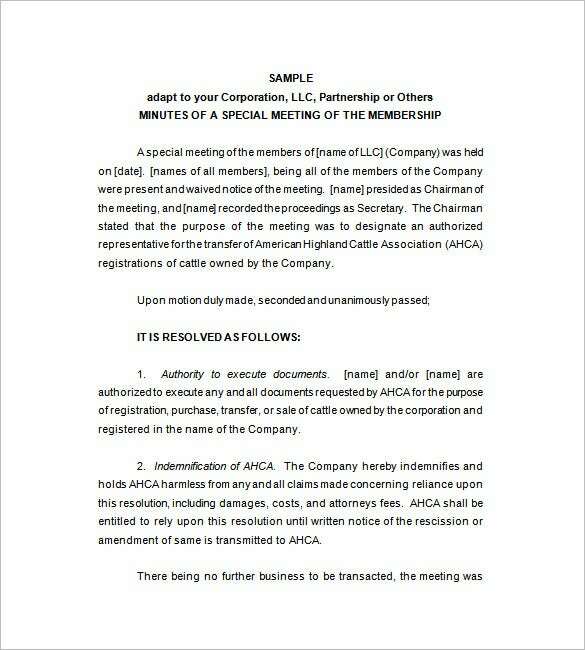 Corporate Meeting Minutes Template – 12+ Free Sample, Example Format Free Download! One of the biggest challenges a team faces while meeting organizational goals is that many of you may not remember everything that has been discussed in a corporate meeting. 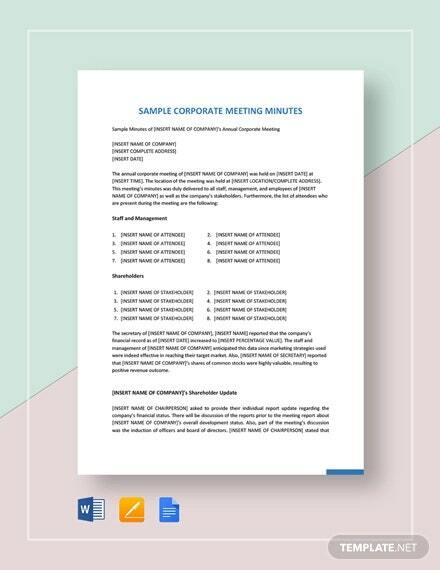 The Corporate Meeting Minutes Template is here for rescue and it helps you to note down all the important pointers and factors that can help you improve the performance of you’re a project as well as business. Since most of the corporate meetings are aimed at facilitating communication and management, it becomes highly important to use such templates to ensure that you never miss out anything important. A rightly conducted meeting helps you to command your co-workers and employees to take the current project as per business growth and recording the mentioned pointers in a templates helps you to keep a check on how far you’ve succeeded. See More staff meeting minutes template. mindengross.com | Sample Corporate Meeting Minutes Template starts of with a simple introduction, followed by detailed minutes. The emphasis is obviously on the content presented and the points taken into consideration. 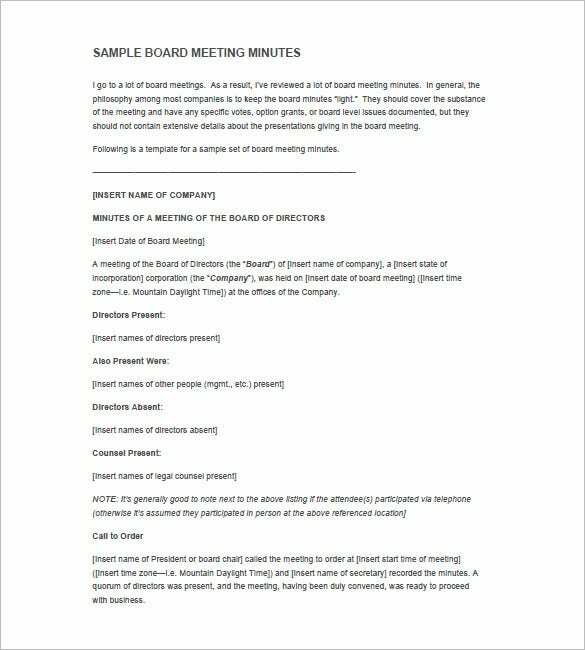 wallerlaw.com | Corporate Meeting Minutes Template has five paragraphs with the following headings; shareholder litigation, regulatory compliance, guidelines for the preparation of effective minutes, preparation for board meetings and objectives. 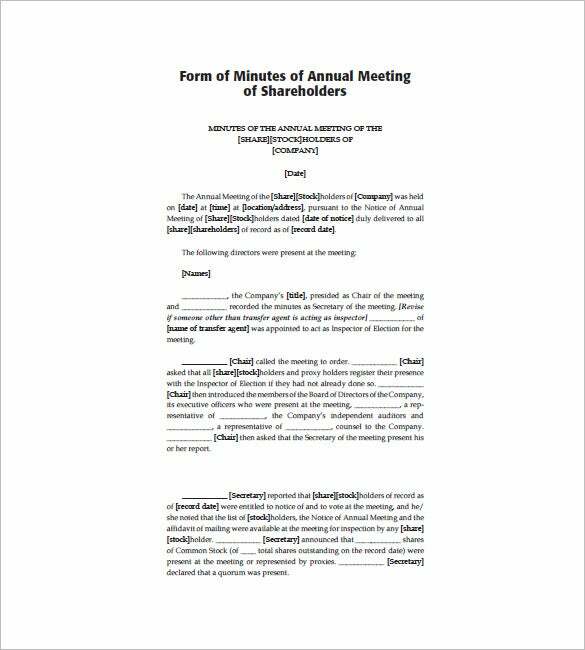 americanbar.org | The Annual Corporate Meeting Minutes Template carries a basic design and starts with a simple introduction. 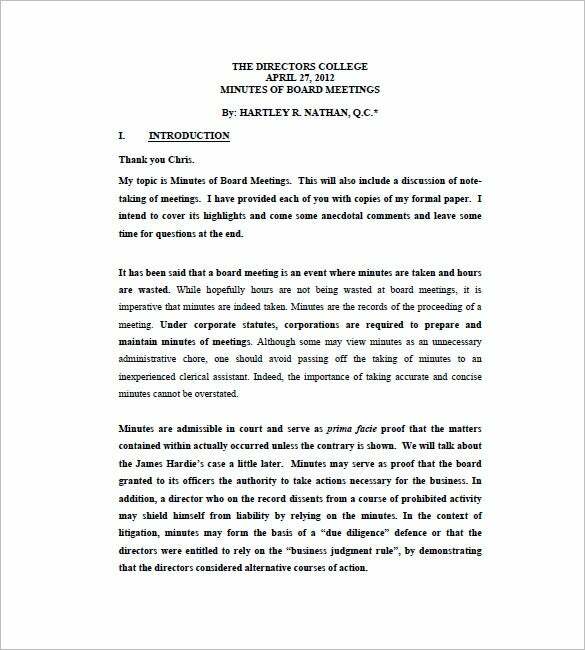 The detailed template describes all the happenings and points discussed in detail to help you understand the exact agenda and purpose of the meeting. The entire template helps you to record, monitor, and cross-check the progress as per the content presented and the points taken into consideration during the course of the meeting. 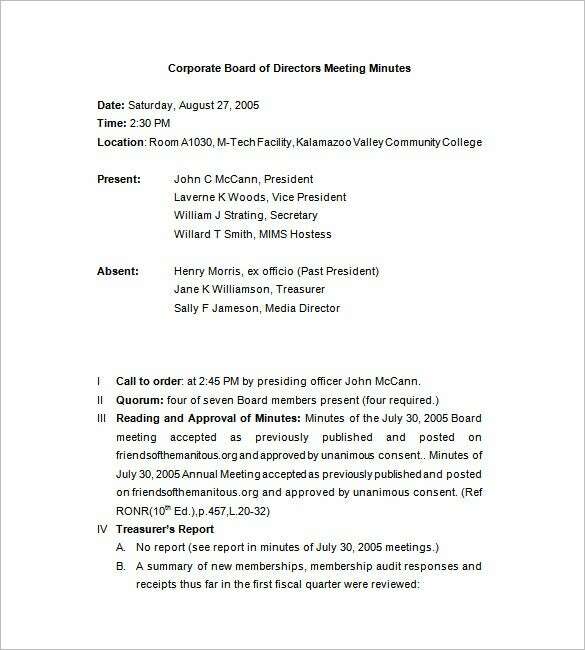 The sheets in the template features bold heading, and has date, directors present at the meeting, company details and the agenda at the top. All of these templates are highly customizable and can be modified as per your requirements. 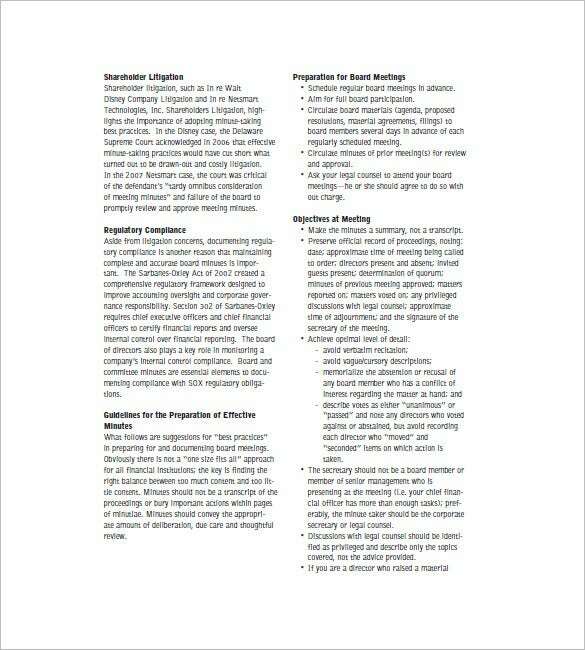 apna.org | The Corporate Board Meeting Minutes template is segmented into five different sections to help your maintain the entire record with great professionalism. The template has sections including headings, shareholder litigation, guidelines for the preparation, regulatory compliance, and preparation for board meetings. 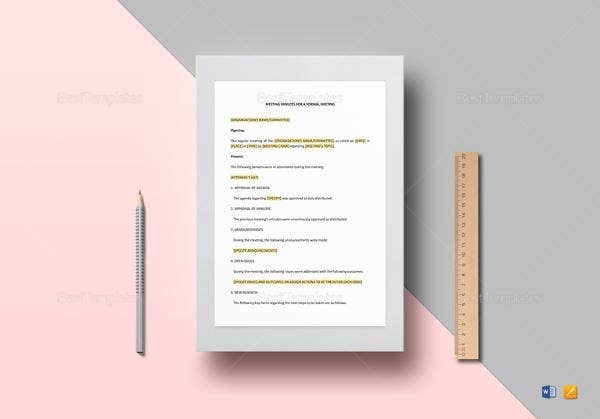 The template enables you to mention the sample agenda on the top and follows a typical format to help your prepare an effective board meeting minutes report. It is important to consider that the board meeting minutes are very important and you must note down all the important pointers to help you guide through the future projects of your business. 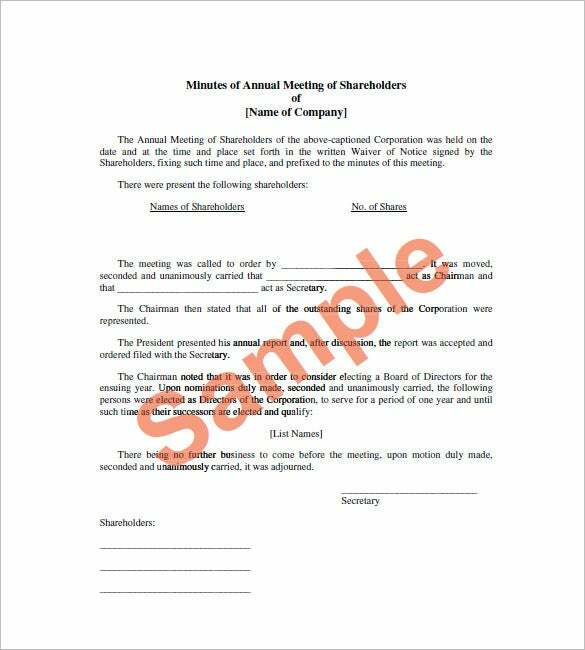 solutionsforsecretaries.com | Corporate Company Meeting Minutes Template has a simple elegance to it with just the right amount of content present in it such as present members, absentees, timings, and a treasure’s report. nysba.org | The Corporation Annual Meeting Minutes Template helps you to record and share the valuable outputs of different business leaders with ease. Since annual business meetings are highly important and they contain valuable information about company’s growth, statistics, profits, and future plans, it becomes highly important to record all the matters discussed in a meet with great perfection. 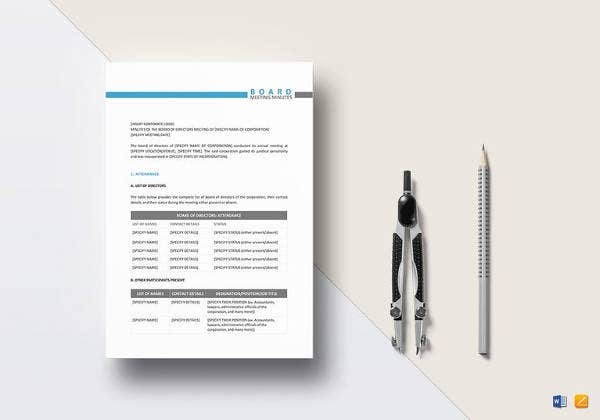 With the help of these readymade templates, you can easily handle the task of documenting decisions, changes or steps the corporation agrees to make, and upcoming future projects that the company plans to take. 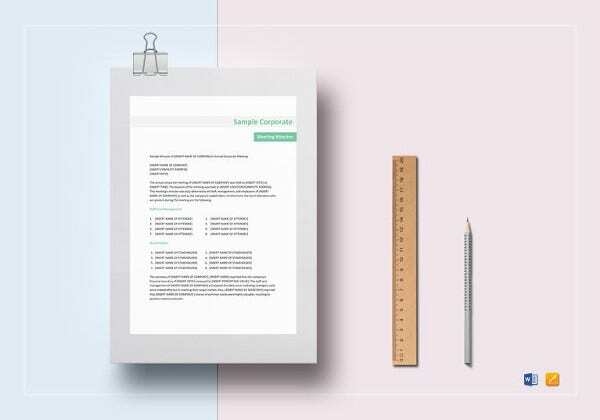 These sample templates are perfect for jotting down proposed guidelines, addressed criticisms, official details and so on. 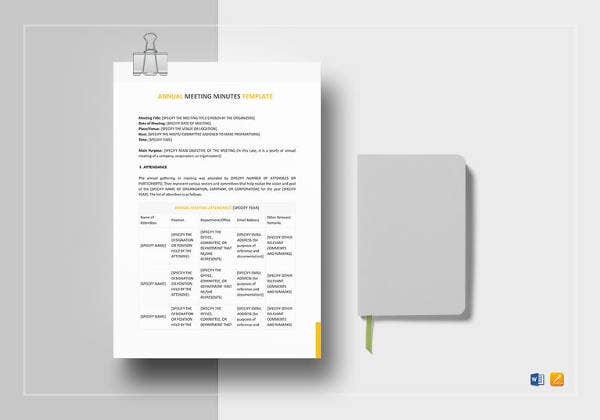 With the help of our templates you will be able to categorize the proposed points which will help the company in the future see more meeting minutes templates. Since these already made templates are segmented into various blank fields and sections, it becomes quite easy and comfortable for an assistant to note down everything that has been discussed in a meet. The usage of these templates is high because they saves time, promotes production by mentioning all the points discussed in a meet, and provides a solution by sharing valuable outputs of the business leaders. The layout is quite easy to understand and fill, hence, encourages wider participation from the secretarial staff. 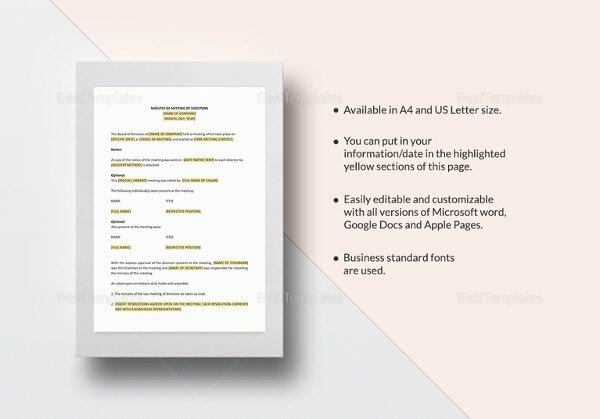 All of these templates are available in various versions of MS Word, PDFs, and PSDs to meet your diversified requirements. 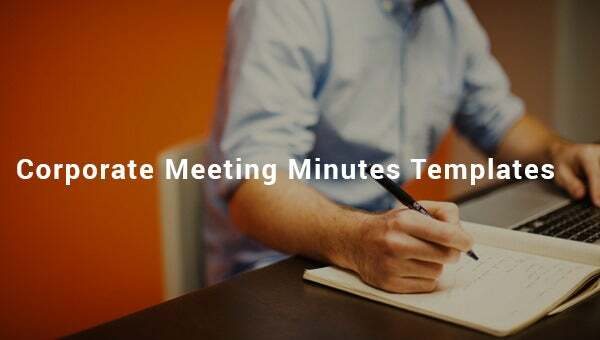 You can easily customize these templates and change the sections and headings as per your preferences to send, share, and roll-out effective minutes of the meeting after every corporate discussion. These minutes can be easily refereed and shared with stakeholders for future discussions and references while taking important business decisions. If you have any DMCA issues on this post, please contact us!